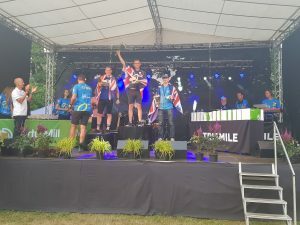 Many congratulations to James the talented triathelete sponsored by Labcold who came third at the European Championships held in Tartu Estonia. This is a massive achievement in itself, but not helped by baggage handlers at Manchester Airport causing James to arrive in Talin without his equipment. Fortunately, one of the locals overheard James trying to find a bike to compete and knew someone who could lend him his bike and the team manager managed to find some bike and running shoes. Unfortunately this lack of equipment meant that James couldn’t prepare for the event. ‘When I got to the start line I decided to just go and give it my all and whatever happens, happens.’ said James. The fact that he came third despite all this meant that he was ‘more than over the moon with the result’ which is not surprising. It’s a remarkable achievement to be able to effectively improvise at a top competition and despite all these setbacks still get placed. 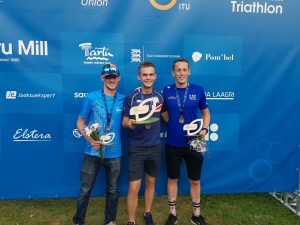 Well done James, can’t wait to see what you’ll do in the World Triathlon Grand Final Gold Coast next month – just maybe don’t fly from Manchester?